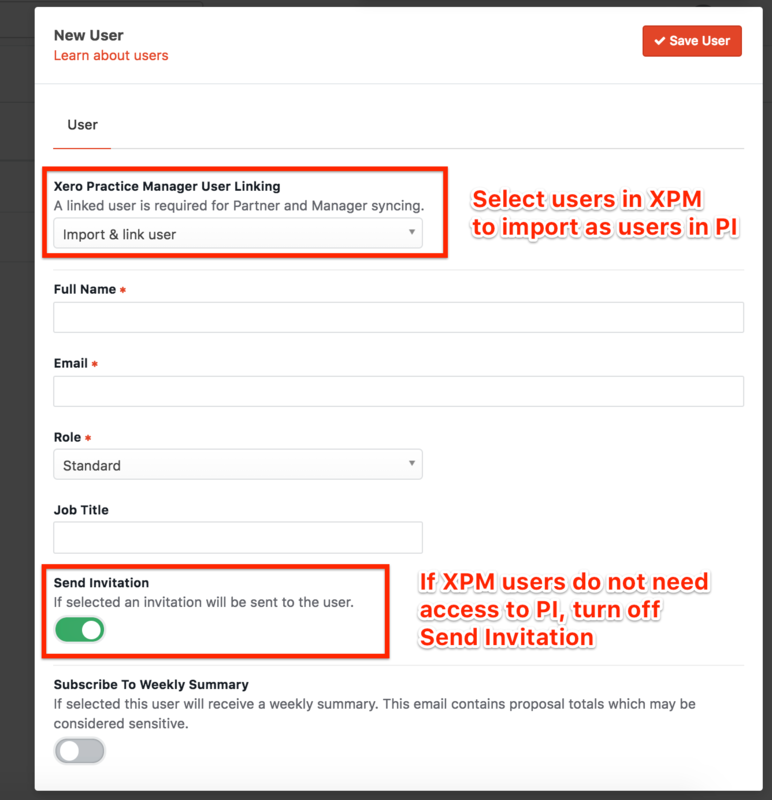 The integration of XPM and Practice Ignition allows you to import and sync data between the two apps - this article explains some FAQs around how the client data import and sync function works. What data is imported from XPM to Practice Ignition? When you first connect XPM to Practice Ignition, this will import all your current clients from XPM as a Lead in Practice Ignition. Partner and Manager - note these will only be imported if they are set-up as users in Practice Ignition. To select users from XPM to import as users to PI, go to Settings > Team > Add User and select them from the XPM user linking dropdown. See screenshot below. What data is/is not synced between the two systems? Please note, company structure cannot be updated after the initial sync with XPM as it is a custom dropdown field in XPM, but a free text field in PI. 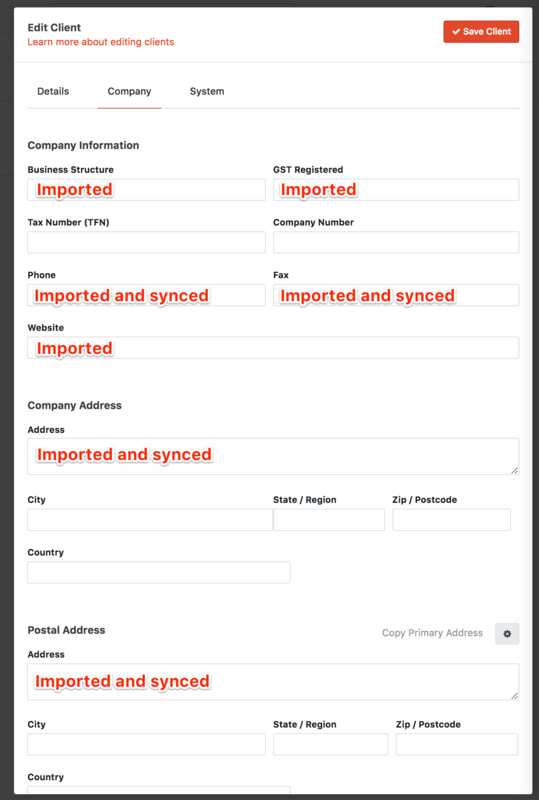 Tax and financial information (tax/company numbers etc) is never imported or synced due to XPM API privacy restrictions. Each time you edit and save a client in Practice Ignition that has a corresponding record in XPM, this will trigger a single record sync from Practice Ignition to XPM immediately. In addition, once a day (at midnight your local time) a whole database sync with XPM will occur to update all records with current data in XPM. If you require information to be pushed across more frequently, you can trigger a manual sync by going to Apps > Xero Practice Manager and clicking Sync. Please note that time delays may be experienced if there are a large number of records to sync or there is high demand for XPM integration syncs at the current time. Does Practice Ignition sync job or client state from XPM? If you complete proposal in Practice Ignition, this will not complete the jobs in XPM or vice versa. When will a client that was created in Practice Ignition be created in XPM? Clients created in Practice Ignition (i.e., not imported from XPM) will be created in XPM on acceptance of a proposal. If client data needs to be present in XPM before proposal acceptance, it is best to create the client in XPM, perform a manual sync to PI and then prepare a proposal for that client. What if my data doesn't appear to be syncing? If you have performed a manual sync, this may take some time to update records if you have a lot of records or if there is a lot of demand at the time. Check if you are looking a duplicate client and have a read of our troubleshooting guide for duplicate clients here. Finally, it is important to note that with the 2-way sync, the last change in either system will take precedence over all prior changes. In order to prevent unpredictable behaviour, it is best to avoid changing information in both systems close together in time or without a manual sync in between to avoid changes being overwritten.